In this video, Disney’s Creative Technical Director, Chuck Davis, explains the technical side of Disney’s ‘Glow with the Show’ light-up Mickey Mouse ears that are currently being used in their Disney California Adventure Park show, World of Color. 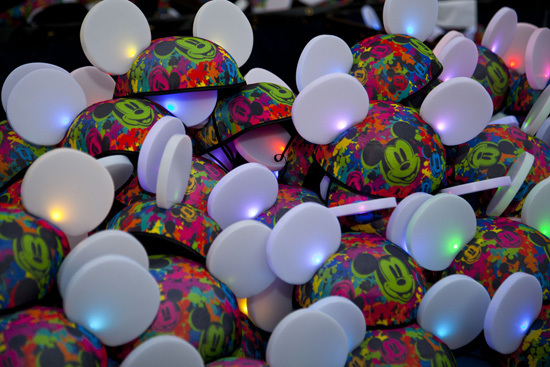 These cool LED-filled ears can be purchased at the park and collectively sync up to pulsate and glow during the World of Color show. They can also be used at Mad T Party and Cars Land attractions (with more syncing opportunities planned for the future). Take a look at this video, hosted by Disneyland Resort Social Media Manager Erin Glover, to see them in action around the California theme park. 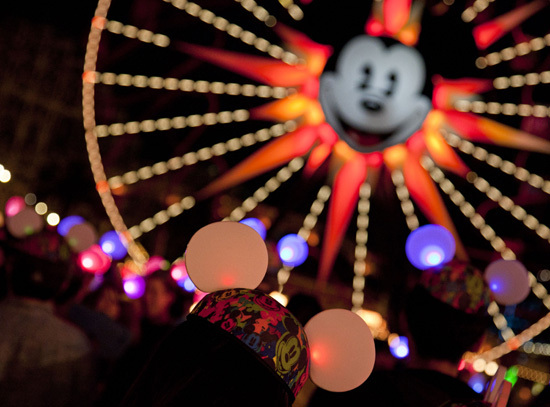 UPDATE 8/10/2012: According to Disney Parks Blog, ‘Glow with the Show’ will be featured at Disneyland Resort’s Fantasmic! show starting in late August 2012.